Robert Kennedy was the U.S. attorney general from 1961 to 1964 and a U.S. senator from New York from 1965 to 1968. A graduate of Harvard University and the University of Virginia School of Law, Kennedy was appointed attorney general after his brother John Kennedy was elected president in 1960. 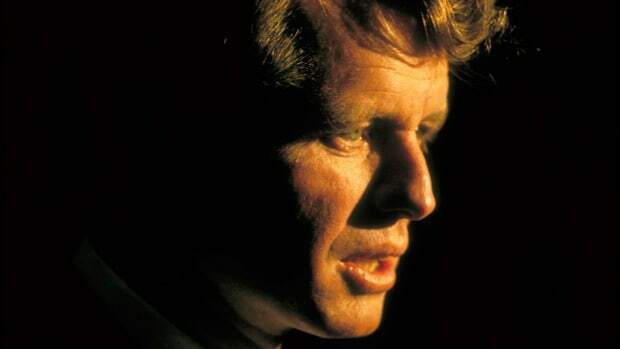 In this role, Robert Kennedy fought organized crime and worked for civil rights for African Americans. In the Senate, he was a committed advocate of the poor and racial minorities, and opposed escalation of the Vietnam War. On June 5, 1968, while in Los Angeles campaigning for the Democratic presidential nomination, Kennedy was shot. He died early the next day at age 42. 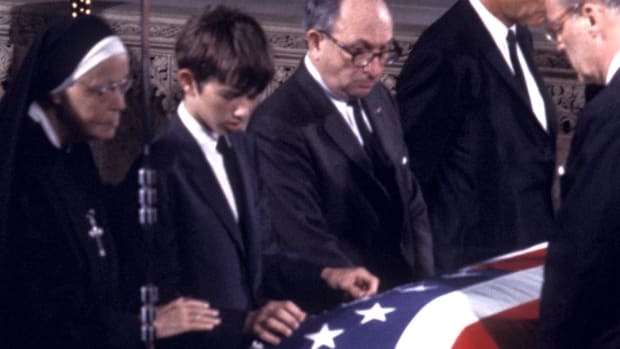 Robert Francis Kennedy was born on November 20, 1925, in Brookline, Massachusetts, the seventh of nine children of Joseph P. Kennedy Sr., a wealthy financier, and Rose Kennedy, the daughter of a Boston politician. Kennedy spent his childhood between his family’s homes in New York; Hyannis Port, Massachusetts; Palm Beach, Florida; and London, where his father served as the American ambassador to the United Kingdom from 1938 to 1940. Did you know? 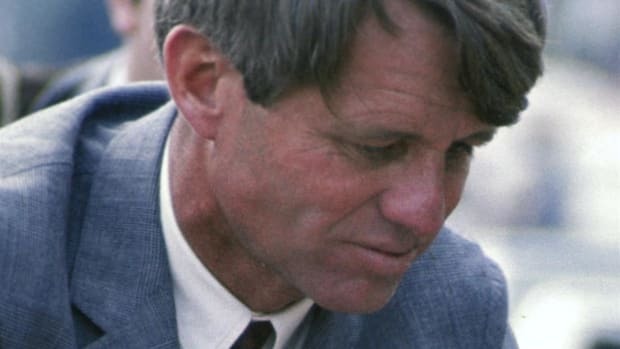 In 1965, Robert Kennedy was part of a group that was the first to ascend Mount Kennedy, which at the time was the highest unclimbed peak in North America. The 14,000-foot peak, named for John Kennedy, is located in Yukon, Canada. 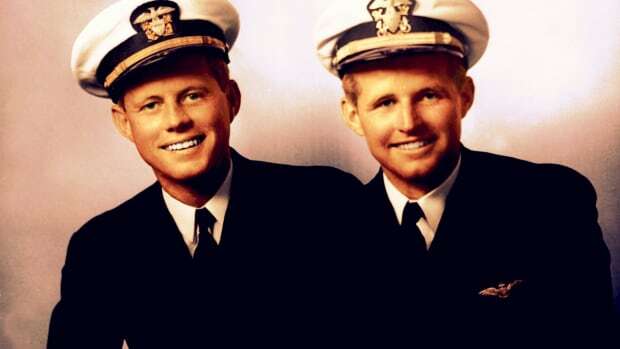 During World War II, Kennedy served in the U.S. Navy. In 1946 he was an apprentice seaman on the shakedown cruise of a naval destroyer named for his eldest brother, Joseph Kennedy Jr., a Navy pilot killed during the war. After completing his military service, in 1948 Kennedy graduated from Harvard University, the alma mater of his father and older brothers. 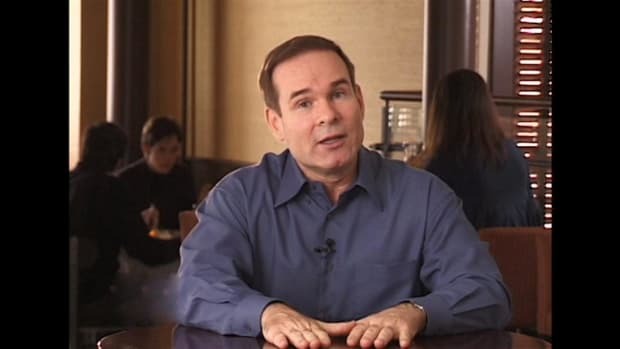 He went on to attend law school at the University of Virginia, earning his degree in 1951. That same year, Kennedy began working as a lawyer in the U.S. Department of Justice. In 1952 he managed his brother John’s successful campaign for the U.S. Senate. The following year, Kennedy worked as an assistant counsel for the Senate Permanent Subcommittee on Investigations, headed by anticommunist crusader Senator Joseph McCarthy of Wisconsin. In the late 1950s, as chief counsel to the Senate Select Committee on Improper Activities in the Labor or Management Field, Kennedy gained national attention for investigating corruption in the International Brotherhood of Teamsters, a powerful trade union led by Jimmy Hoffa. Kennedy left the committee in 1959 to manage his brother John’s successful presidential campaign. On June 17, 1950, Robert Kennedy married Ethel Skakel of Greenwich, Connecticut. The couple had 11 children: Kathleen, Joseph II, Robert Jr., David, Courtney, Michael, Kerry, Christopher, Max, Douglas and Rory, who was born six months after her father’s death. The family lived at an estate called Hickory Hill in McLean, Virginia. 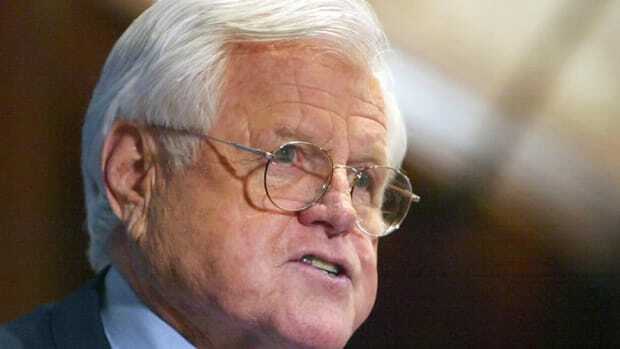 Kennedy’s oldest son, Joseph, served in the U.S. House of Representatives from Massachusetts from 1987 to 1999, while his daughter Kathleen was lieutenant governor of Maryland from 1995 to 2003. After John F. Kennedy was elected president in November 1960, he named his brother Robert Kennedy as America’s 64th attorney general. In this role, Kennedy continued to battle corruption in labor unions, as well as mobsters and organized crime. In 1964, Jimmy Hoffa was convicted of jury tampering and fraud. As attorney general, Kennedy also supported the civil rights movement for African Americans. In the fall of 1962, he sent thousands of federal troops to Oxford, Mississippi, to enforce a U.S. Supreme Court order admitting the first black student, James Meredith, to the University of Mississippi. The state’s segregationist governor, Ross Barnett, had attempted to bar Meredith, whose enrollment prompted riots and violence at the school. Additionally, Kennedy worked with his brother, as well as his successor as president, Lyndon B. Johnson, on the landmark Civil Rights Act of 1964, which outlawed racial discrimination in voting, employment and public facilities. Kennedy also acted as one of his brother’s closest political advisors in the White House and was involved in important foreign policy decisions, including the administration’s handling of the 1962 Cuban Missile Crisis. He later wrote a book about the crisis, titled Thirteen Days, which was published posthumously in 1969. On November 22, 1963, 46-year-old President John F. Kennedy was assassinated in Dallas, Texas. 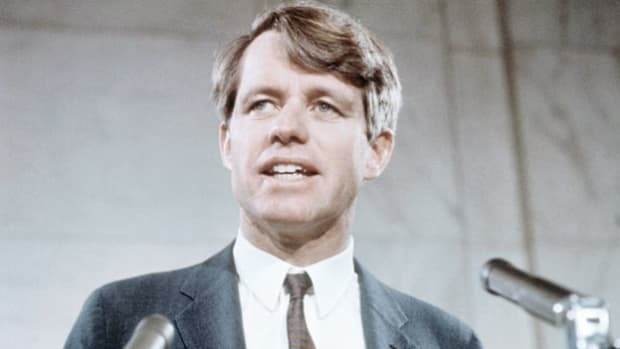 Robert Kennedy stayed on as attorney general under President Johnson until September 1964, when he resigned to embark on a campaign to represent New York in the U.S. Senate. Despite charges from some that he was a carpetbagger with little connection to the Empire State, Kennedy won the election and took office in January 1965. As senator, Kennedy championed civil rights and social justice issues. He traveled to Appalachia, the Mississippi Delta, migrant workers’ camps and urban ghettos to study the effects of poverty, and made trips abroad to such places as apartheid-ruled South Africa to advocate for the advancement of human rights. Kennedy was also an outspoken critic of President Johnson’s plans to escalate U.S. involvement in the Vietnam War. In 1968, Kennedy was urged by his supporters to run for president as an antiwar and socially progressive Democrat. On March 31, 1968, Johnson announced he would not seek reelection, and Vice President Hubert H. Humphrey became the key Democratic party hopeful, with McCarthy and Kennedy trailing closely behind. Kennedy conducted an energetic campaign and on June 4, 1968, won a major victory in the California primary. In the early hours of June 5, 1968, shortly after delivering a speech to celebrate his win in the California primary, Kennedy was shot in a kitchen corridor outside the ballroom of the Ambassador Hotel in Los Angeles. He died the next day at age 42. The following year, Sirhan Sirhan, an immigrant from Palestine, was convicted of Kennedy’s murder and sentenced to death. However, in 1972, after the California Supreme Court outlawed capital punishment, Sirhan’s sentence was commuted to life in prison, where he remains today. After the funeral, Kennedy’s coffin was taken by train from New York to Washington, D.C., with hundreds of thousands of mourners lining the tracks along the route. 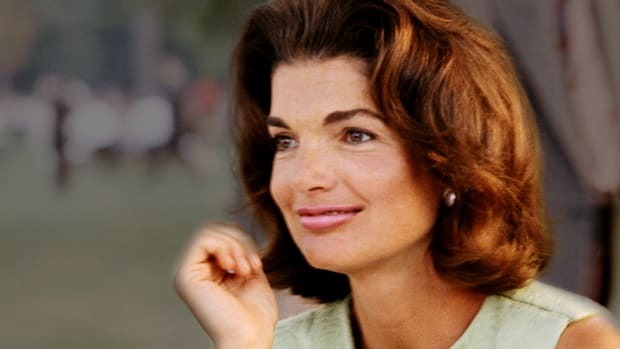 The train arrived in the nation’s capital that night, and a motorcade transported Kennedy’s body to Arlington National Cemetery for a rare nighttime burial.